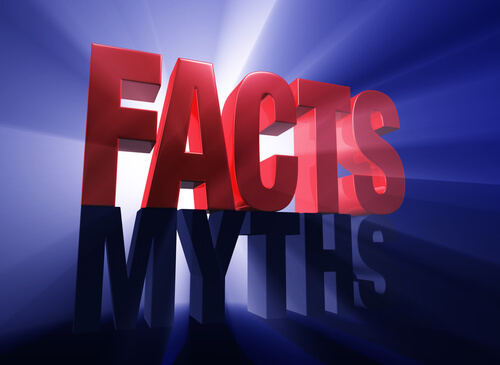 There are so many myths surrounding the bankruptcy process and many of these myths prevent people from considering filing for bankruptcy to relieve the financial stress. Some common myths are discussed here. Fact and Fiction. A “medical bankruptcy” is not an official bankruptcy term. However, many bankruptcies are based on medical-related debts. Medical bills are a huge financial hardship and cause many individuals to file for bankruptcy relief. Many clients ask if they can include medical debt and the answer is “yes.” A medical debt is treated as an unsecured creditor and is included within a discharge. Typically, most medical providers that receive a notice of bankruptcy filing will stop all collection efforts but will continue providing medical services. There are some providers who will stop ongoing treatments without voluntary payments from the patient but the patient may elect to voluntarily pay for services if they wish to keep a specific doctor. My credit will be ruined for life if I file bankruptcy! This is not true. In fact, a bankruptcy may be the best option to revive your credit. Most individuals who file bankruptcy actually improve their credit score just by filing. Those people who need bankruptcy relief are already in a place where their credit has been negatively affected and they are not eligible for financing. Interestingly, individuals who need to file bankruptcy are more likely to obtain financing twelve months after a bankruptcy discharge than prior to filing. An individual who files bankruptcy may apply exemptions to protect their assets. In fact the state of Nebraska recently passed a law (to take effect July 17, 2014) that will allow everyone the option of applying the homestead exemption in the amount of $60,000 regardless of marital state: if you are single or with no dependents. If, however, some assets are not protected under one of the state exemptions we will explore other options to help you retain these assets. A great available option is a Chapter 13 proceeding. In a Chapter 13, you may retain your assets as long as you agree to pay the non-exempt portion back to your creditors over a 3-5 year plan. I can pick the debts to file on. Under the bankruptcy code, you must list all of your creditors. This even includes personal loans from family and friends. If you are not sure who you owe or how much we can help search for possible creditors. We also download a credit report for every client. The bankruptcy code allows for certain taxes to be discharged. It is a complex rule but in general, personal income taxes that are more than three years old and where the tax return was actually filed more than two years prior to filing a bankruptcy may be discharged. Contact us for a free consultation to review your options. I will lose my job. The law specifically prohibits an employer from discriminating against an employee for filing a bankruptcy. However, this may be hard to prove. It is also important to note that a potential employer can use the filing as a factor (not the only factor) in determining whether to employ that individual. There are a lot of misconceptions about filing bankruptcy that give it a bad reputation. In reality, a bankruptcy can help relieve financial stress, provide a way out for risk takers and entrepreneurs and help those who are facing major life challenges due to illness or a death in the family. I am happy to help. Please let me know if you have questions.